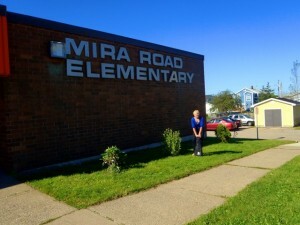 This was our third show at Mira Elementary School over the years….they seem to like having us back! Then onwards for a 5 hour drive as we left Cape Breton to settle into the outskirts of Halifax. A lovely unseasonably warm and sunny afternoon for our beautiful drive the Bras D’Or Lake coast (complete with MANY pauses for road construction!). I had a short run exploring the hilly terrain of the Kearney Lake area when we landed . We spent the evening catching up on administration and ordered in one of our favoutite road dinners of Boston Pizza’s chicken pecan salad.